Purchasing a used vehicle can sometimes be a tricky process, simply because no two vehicles are going to be the same in terms of wear and tear. When you are shopping for used Ford Cars for sale in Bellevue, you are going to see that every car has their own unique history that means you need to take the buying process into deep consideration. Carson Cars is a used car dealership that would like to help you take a lot of the hassle, stress and guess work out of the buying process. When you buy a vehicle through Carson Cars, you are able to get a used vehicle that has gone through a tough inspection process. This will give you the added peace of mind that you need to know that you are buying nothing but the best and at an incredible price. Do you need options when it comes to financing? Carson Cars has their very own in-house finance team that is ready to work with you to get you into a great deal with a low interest rate. Bad credit? Not a problem! The finance team is happy to go through all of the tough hurdles to get you financed so that you can drive away in the new to you Ford that you have been dreaming about. 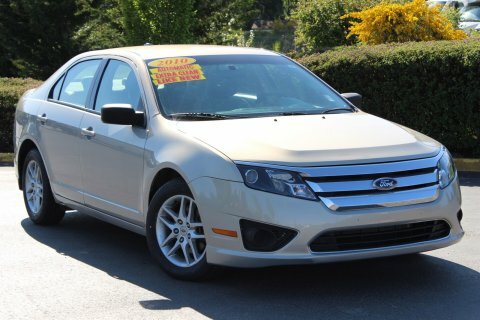 Buy your next vehicle with Carson Cars and shop used Ford cars for sale in Bellevue. Call us (855)583-9356 today for selection and pricing information. This is a car buying experience that you are going to fall in love with, which is what keeps so many happy Carson Cars customers coming back time and again for their next vehicle purchase.